Vegan restaurants in Paris cover a wide range of styles of food, but one that is hard to find is real, traditional French cuisine. But the one place that does it really well is Le Potager du Marais, which is one of my favorite places in the city. When you enter, you immediately feel welcomed by the super positive staff, who speak great English, by the way, and who love to explain their delicious food. The restaurant is lively but cozy, with lots of nice touches like the little pottery wine carafes. 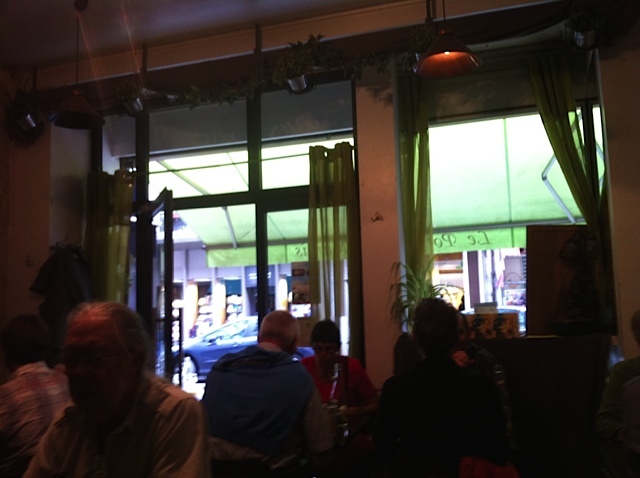 Just a block away from the Centre Pompidou, le Potager gets busy, so I would recommend making a reservation if you can. Also they are closed on Monday and Tuesday. But on any other day of the week, if you want some of the best food in town and especially if you want something “authentique” then Le Potager is the place to go.